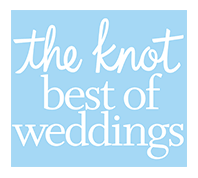 Memories Bridal & Evening Wear is an authorized seller of all dress lines featured on our website. Be assured that the dress you receive from Memories is a 100% authentic gown direct from the designer, just as pictured. Once you place your online order, we will verify the availability of your dress with the designer. Items that are in stock typically take 3-10 days to leave the warehouse depending on the designer. Once shipped, ground shipping is normally an additional 3-10 days. Standard ground shipping is free on all dress orders over $200 within the continental U.S. Shipments to Hawaii or Alaska are subject to shipping charges. If you need expediated shipping, alternate shipping options are available at checkout for an additional fee. We do not ship internationally, nor do we ship to PO boxes, APO’s, or FPO’s. If your dress/item is not currently in stock in our warehouse or with our designers, we will email you with the estimated ship date. These ship dates are only good faith estimates and are not guaranteed. Please be sure to order well in advance to leave time for alterations, etc. Your order will only be placed with the designer once you’ve confirmed your acceptance of the estimated ship date. Orders for dresses not currently in stock with the designer will not be placed if the estimated ship date is less than 2 weeks prior to your stated wear date. Once an order has been placed with the designer, it cannot be cancelled. Once your item has shipped, you will receive an email confirming your order. If you have concerns about shipping or timelines, please contact us at sales@dresslikeyou.com prior to placing your order and we can help find the best solution. Almost all formal dresses will require alterations to fit properly. When in doubt about what size to order, it is always safer to order the larger size and have the dress taken in by a seamstress. A seamstress can always make a dress smaller, but very few dresses can be let out if they are too small. Please be sure to use the correct size chart for the designer of your dress and use professional measurements whenever possible. If your bust, waist, and hip measurements align with different sizes, it is always best to order the largest size (i.e. if your bust is an 8, your waist is a 10, and your hips are a 6, the designer would suggest ordering a size 10 for safety). Formal wear sizing runs much smaller than normal clothing, so please be sure to order based on your measurements and not just the dress size. We will only sell one of each dress to a given event. If you are purchasing your dress for a prom, homecoming, pageant, or other school dance, please provide the name of the event. Your order cannot be processed without this information. If your selected dress has already been registered for your event, we will contact you via email. We do not register dresses for weddings, private parties, military balls, and other private events. Due to the special nature of the formal wear industry, all sales are final on jewelry, headpieces, dyed shoes, undergarments, shape wear, and clearance dresses. Wedding gowns and bridesmaid’s special orders are also considered final sales and cannot be returned or exchanged. RA# must be requested within 5 calendar days of receipt. Return package must be postmarked within 5 calendar days of RA# issuance, and package must be clearly labeled with the RA#. All returned items must be unworn, unaltered, unlaundered, and in pristine, resalable condition with all original hangers/tags/garment bags attached and intact. Garments must be free of any smoke, fragrance, or other odors. Returns must be postmarked prior to your original event date. Memories Bridal & Evening Wear reserves the right to deny credit or refuse returns that don’t meet the above criteria. Such refusals will be returned to you at your expense. Once received, qualified returns will be processed in 5-10 days, and a store credit will be issued less original shipping expenses (if order originally received free shipping). You will receive an email with your store credit balance. Store credit expires 1 year from issuance. If you would like to exchange your item, please let us know your new selection when requesting your RA# so that we can confirm availability. Exchange items and items purchased using store credit do not qualify for returns/credits and are considered a final sale. If you have received an incorrect or damaged item, please contact us at sales@dresslikeyou.com within 5 days of receipt. Defective items will be replaced or repaired at our discretion.